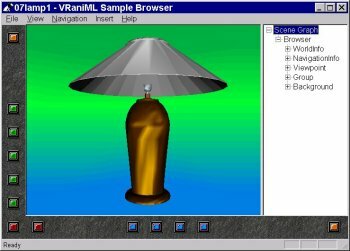 VRaniML™ is a VRML 2.0 C++ class library for building 3D graphics applications. Most of the VRML 2.0 specification is supported including DEF/USE, PROTOs, ROUTEs and the VRML execution model. For all classes, each data member is protected and every interesting member function is virtual, making extension of the class library a snap. Please complete the following form to request a free 30-day evaluation hosted on our servers. Further instructions for accessing the evaluation will be sent via email when you submit this form.